Pharrell Williams and adidas Originals continues their partnership with the newly released adidas NMD Human Race. 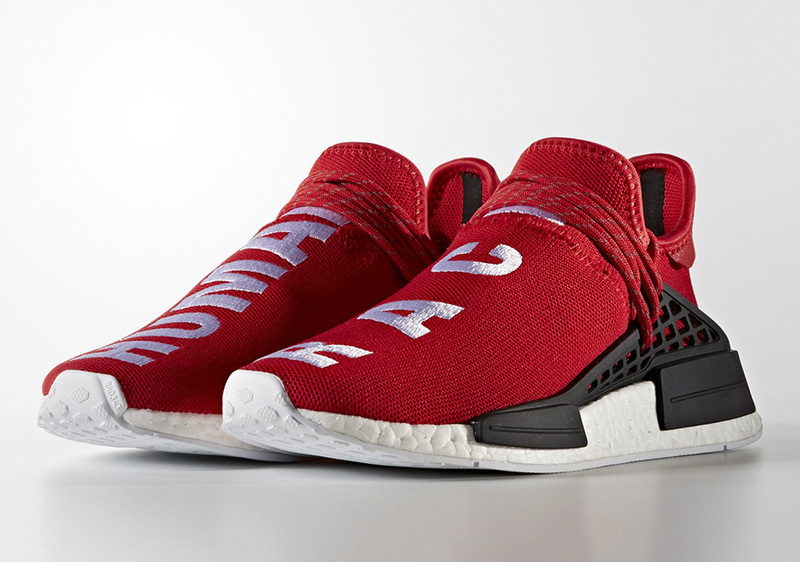 Next up, is an upcoming adidas NMD Human Race in Red. Following the high demand of the first release – dressed in Yellow. We now give you a look at what’s next for Pharrell’s version of the adidas NMD. This release features a Vibrant Red upper with “Human Race” text across the mid section in White that matches the Boost midsole. Other details includes Black detailing and the colorful adidas logo on the heel. Check out the detailed images below and look for this adidas NMD Human Race in Red to make its debut in the near future. The retail price tag is set at $240 USD.